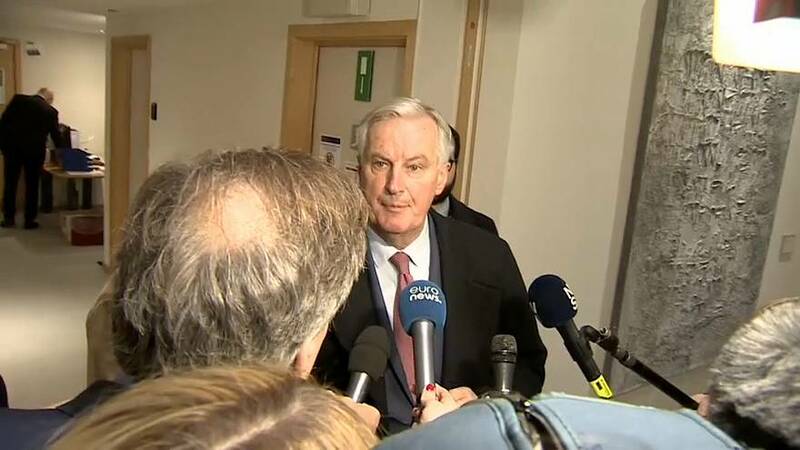 The EU's chief negotiator Michel Barnier delivered a 13 second response to Theresa May's demand to renegotiate the Brexit deal agreed between the two sides last year. "The EU institutions remain united and we stand by the agreement we have negotiated with the UK - never against the UK," he told reporters in Brussels before leaving without taking questions. MPs from Theresa May's Conservative Party had sided with the opposition to block the deal, but last night agreed they could accept it if a crucial component regarding the Northern Irish border was removed. The Irish government, with the support of the EU, has refused to bend on that issue, creating what seems like an impasse. “The EU can’t seriously engage with her [Theresa May] because apart from anything else there's still no way to know what would actually get a majority" in parliament for anything they did agree again. The source also pointed out that the vote by MPs suggested replacing the Northern Irish backstop agreement, which would align rules north of the border with those used in the EU, did not propose a concrete alternative and there was no consensus on how this could happen. “This has been the May way all along and it ran out of road with the withdrawal agreement/backstop. Which she knows,” the source said. If no agreement is reached, the UK will drop out of the EU without any cushioning arrangements on March 29. MPs last night agreed to reject a "No Deal Brexit" but are divided on how to secure this. They rejected calls to extend the negotiating period with Brussels.